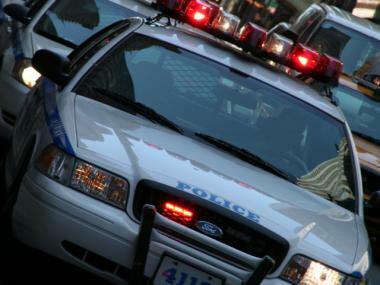 Crimes is up in the Lower East Side compared to June last year. LOWER EAST SIDE — A series of muggings in East River Park has contributed to a 13 percent increase in crime on the Lower East Side. There have been 62 robberies this year on the Lower East Side, compared to about 50 at this time last year. There's also been an increase in car theft, according to Capt. Peter Venice from the 7th Precinct. At a community council meeting Wednesday, Venice encouraged residents to be alert, especially in the East River Park after dark. "It is quiet over there," he told a packed community council meeting. "It can get desolate at night." The latest of three muggings occurred on May 22nd with the other two happening earlier in the month. All took place between 9 p.m. and 12:30 a.m. In each attack, the suspect was described as a 30- to 35-year-old man who wore a hooded sweatshirt, according to Venice. The suspect either simulated having a gun or, on one occasion, showed a gun during the robbery before taking cash and valuables from victims. In response to the crimes, the 7th Precinct has stepped up patrols in the park. A "handful" of similar crimes have occurred north of East Houston Street in the park, which comes under the 9th Precinct's command, Venice said.